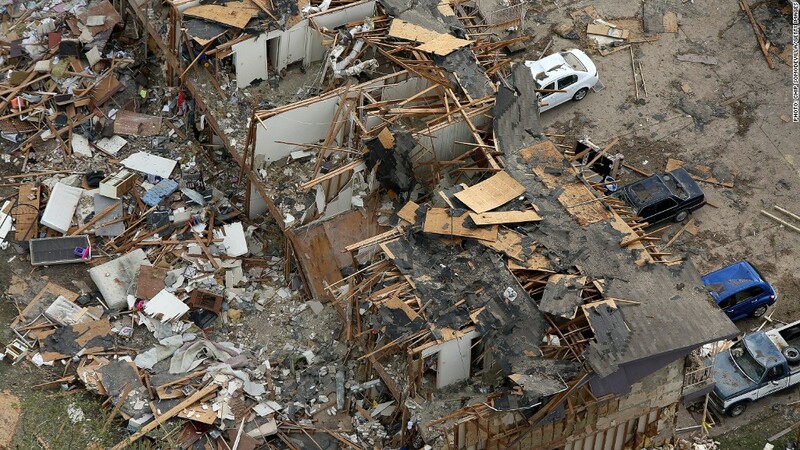 West, Texas was devastated by a fertilizer plant on April 17, two days after the Boston Marathon bombings. As millions of dollars flood into relief efforts for the Boston bombing victims, donations to devastated West, Texas, are lagging far behind. More than $26 million has been raised in the wake of the April 15 Boston blasts. And it appears that donations for West total well under $1 million. The Salvation Army, for example, has raised about $200,000 following the April 17 fertilizer plant explosion that killed 14 people, injured up to 200 and destroyed more than 100 homes. It has already spent about the same amount. The needs in 2,800-person West are vast: food, shelter and transportation for displaced families, medical help for blast survivors, and eventually assistance rebuilding an entire community -- from houses and businesses to a school and nursing home. Property losses alone are expected to exceed $100 million, according to the Insurance Council of Texas. Dan Ford, a resident of nearby Waco and the head of the McLennan County Salvation Army, understands the outpouring of support for Boston. But he said West is suffering. "We've been greatly overshadowed by the Boston tragedy," said Ford. "We need help." Another local group, the West, Texas Disaster Relief Efforts Fund has raised about $140,000. Ashley Allison, executive director of the Waco Foundation, which helped establish the fund, said some of the largest donors indicated they gave because the media isn't paying enough attention to West. "Families are hurting no matter how much media coverage is given," said Allison. Meanwhile, Baylor University's West Relief Fund has collected a little more than $110,000, and another $50,000 has been raised between the United Way of Tarrant County, the Society of St. Vincent dePaul's and the National Fallen Firefighters Foundation. The American Red Cross, as it does in most cases, is accepting general donations, some of which will be directed to West. It hasn't yet released an estimate of how much it has spent. GiveForward, a crowdfunding platform where anyone can set up a campaign and solicit donations for a cause, has been used for both of last week's tragedies. But the site has had more than 24 crowdfunding initiatives pop up for Boston, raising $1 million so far -- compared to only six initiatives for West that have raised a mere $5,000. The majority of the $5,000 raised on GiveForward for West victims has been dedicated to medical bills for a 2-year-old Texas survivor, Arianna Gassaway. "Arianna has very extensive injuries including multiple broken bones, numerous lacerations and a severe head injury," the fundraiser says. The $4,314 raised for Arianna so far is only 9% of her family's $50,000 goal. Ethan Austin, co-founder and president of GiveForward, said the discrepancy between fundraising efforts for Boston and West likely has a lot to do with the differing emotions behind the giving. "The explosion in Texas was an accident. The reaction was sadness. The bombings in Boston were a heinous and malicious act that brought back memories of 9/11. The reaction was anger," he said. "Stories inspiring high energy emotions like anger have a much higher likelihood of going viral. Stories inspiring low-energy emotions like sadness do not tend to go viral." And as the media continues to focus intensely on the Boston bombing victims and suspects, people aren't hearing nearly as much about the devastation in West, said Stacy Palmer, editor of the Chronicle of Philanthropy. "When you see a disaster get a lot of attention, you see a lot of giving ... and you really don't see as many stories that show the picture of what's happening [in Texas]," said Palmer.